This week we're talking about illustrations created from photographing miniature sets. An illustrator creates each piece of the illustration on a stage, from the characters to the landscapes, and then photographs it. And the end result is absolutely stunning. Butterfly Park by Elly Mackay is a great place to start. 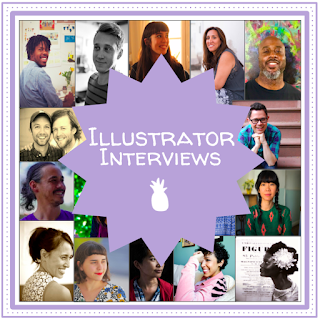 Mackay has a great page on her process for creating her illustrations that's very interesting and fun to watch. 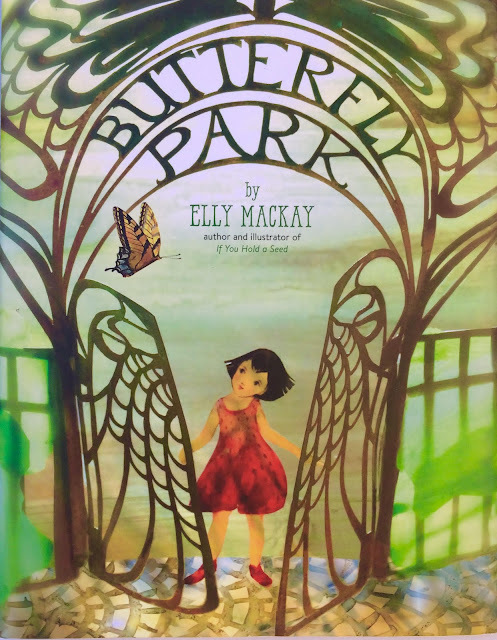 In Butterfly Park, a girl reluctantly moves from the country to the city, lamenting that she has to leave behind the natural beauty of the country, specifically the butterflies. When the girl sees one in her neighbor's yard, they work together to try to catch it, slowly befriending neighborhood kids along the way. Ultimately the entire neighborhood comes together to build a butterfly paradise next door to the girl's house, making the girl feel welcome and at home. The story is fine, but it's really the illustrations that bring this story to life in a major way. 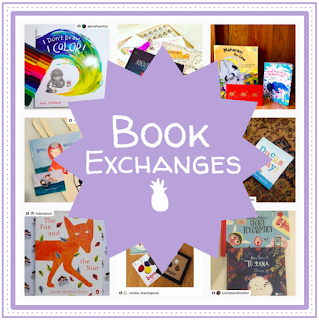 About a year ago I talked about picturebooks centered on French trees. At the time I'd just come across a ton of them, and it seemed appropriate to write about them. I recently bought Britta Teckentrup's Tree, and thought I'd revisit the subject, though this time opening it up a bit. Depictions of trees in picturebooks can have a range of dynamism—with the changing seasons we get different colors, styles, and interpretations. 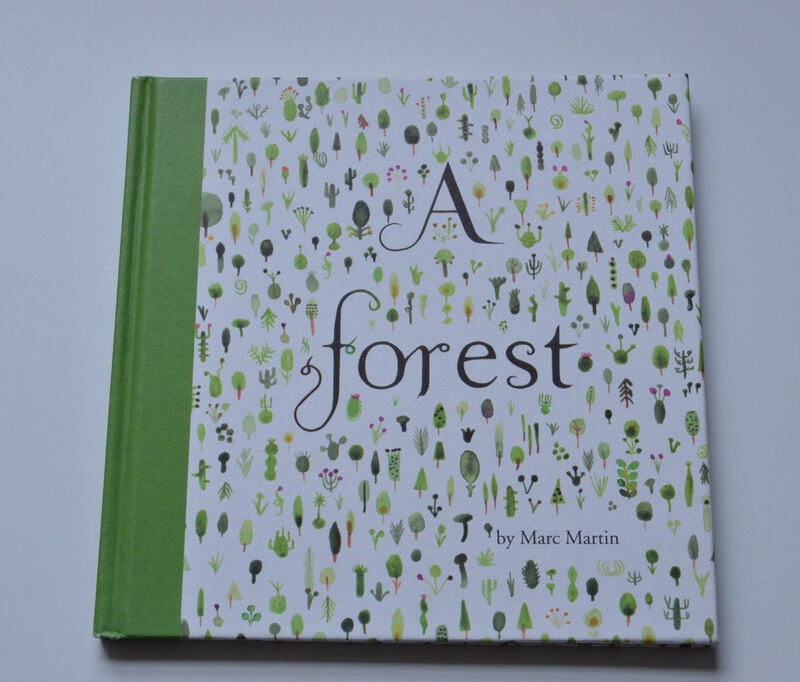 Today we’ll be talking about Marc Martin’s A Forest, Britta Teckentrup's Tree, Julia Rawlinson’s and Tiphanie Beeke’s Fletcher and the Falling Leaves, and Carin Berger’s The Little Yellow Leaf, all of which showcase a wide range of artistic styles and techniques that reflect the illustrators’ strengths and breadths of technique. First on today's list is Marc Martin's debut picturebook A Forest. I found this book when I was in the UK for work and the second I saw it I knew I wanted it. You guys, this book is BEAUTIFUL. Although the illustrations are technically mixed media, Martin primarily uses watercolor. And he does it in the exact right way, intensifying destructive moments with dense, heavy brush strokes and then calming things down with sparse, light coloring. A Forest recounts the tale of a nameless forest that's torn down by greedy industrialists and replaced with a city. Nature wins out in the end, essentially drowning the city and washing it away, leaving one tree to eventually turn into a forest. The text is sparse and carefully framed by the illustrations, amplifying the message on each page. I'm so, so excited for this week's theme: Paris. This post was inspired by my recent trip to the American Library Association's annual midwinter conference in Boston, during which I found, fell in love with, and acquired Thames & Hudson's upcoming picturebook Paris: Up, Up, and Away. 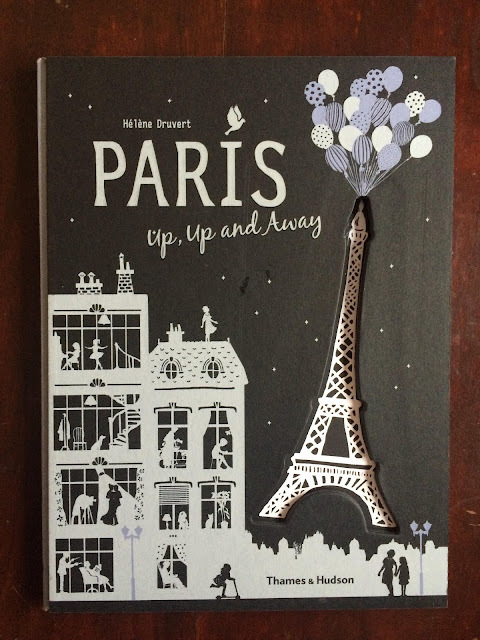 Written and illustrated by Hélène Druvert, the book follows the Eiffel Tower, who becomes bored one day and decides to take an adventure through Paris to explore the many wonders of the city. The the black, white, and lavender-gray illustrations are beautifully simple in design and the text is perfectly sparse, but it's the paper cutouts that make this book unforgettable. There is a paper cutout between each spread of the book, often framing potions of text to emphasize the negative space. The cutouts themselves are unparalleled in beauty and intricacy: every window has a frame, cutouts of the river have waves, every dress and shoe has a distinct pattern. The book is highly interactive as well, inviting readers to locate the Eiffel tower in each spread, sometimes in the cutouts, sometimes in the illustrations. 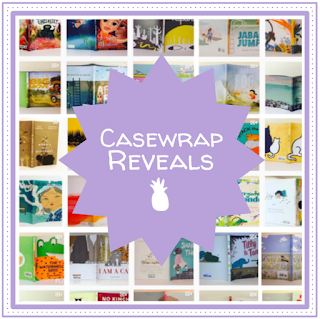 And as if intricate cutouts and beautiful illustrations weren't enough, the endpapers are perfect, inviting you in and then taking you back out (but making you want to come back for more). And we're back! I know it's been a horrifically long time since I've made any updates here, but that's all about to change. 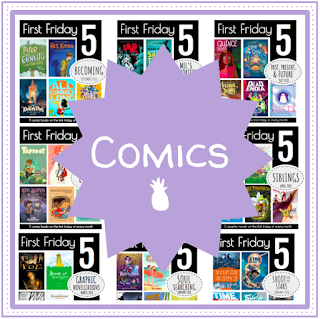 This week we're starting with elephants and opposites. 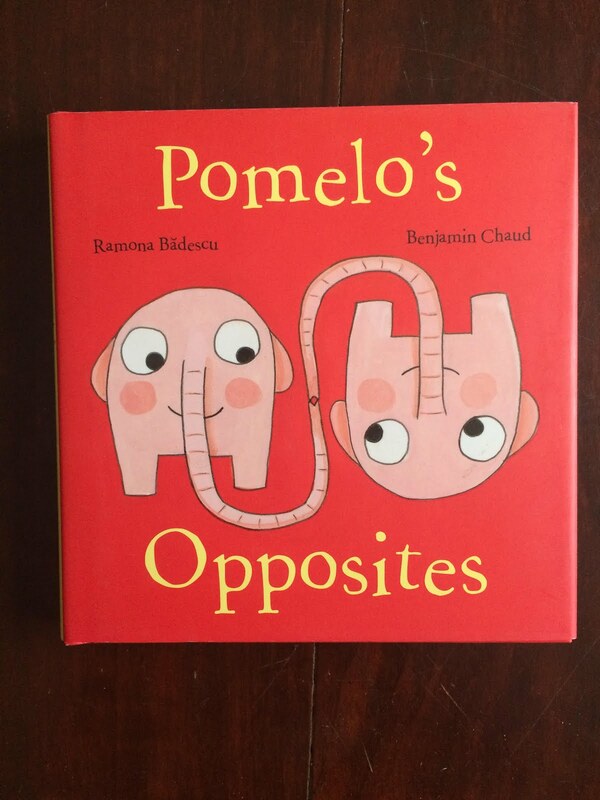 Has anyone else noticed how many opposites books there are that feature elephants? I suppose it makes sense--elephants are big so there's one given opposite right there. But there's something about elephant opposite books that opens up the illustrations and concept of opposites to a much larger, more sarcastic interpretation.